Although she ruled England for less than two weeks, Lady Jane Grey has been admired for generations for her courage and faithfulness to the gospelÂeven though she was executed for treason at the age of sixteen. In this addition to the Christian Biographies for Young Readers series, Simonetta Carr tells Lady Jane Grey's story of intrigue and explains its context: the tumultuous politics of Reformation England. Maps, photographs, and beautiful illustrations decorate the narrative, helping young readers visualize what life was like in sixteenth-century England. More importantly, they will learn the story of an extraordinary young girl who understood that she was saved only by the mercy of God and the merits of the blood of Jesus Christ. Although she ruled England for less than two weeks, Lady Jane Grey has been admired for generations for her courage and faithfulness to the gospel even though she was executed for treason at the age of sixteen. 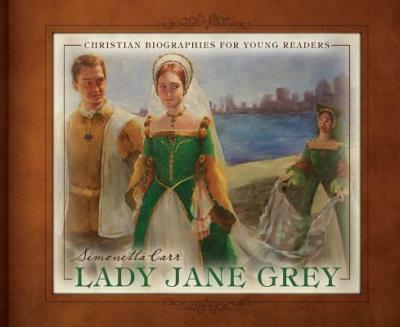 In this addition to the Christian Biographies for Young Readers series, Simonetta Carr tells Lady Jane Grey's story of intrigue and explains its context: the tumultuous politics of Reformation England. Maps, photographs, and beautiful illustrations decorate the narrative, helping young readers visualize what life was like in sixteenth-century England. More importantly, they will learn the story of an extraordinary young girl who understood that she was saved only by the mercy of God and the merits of the blood of Jesus Christ.